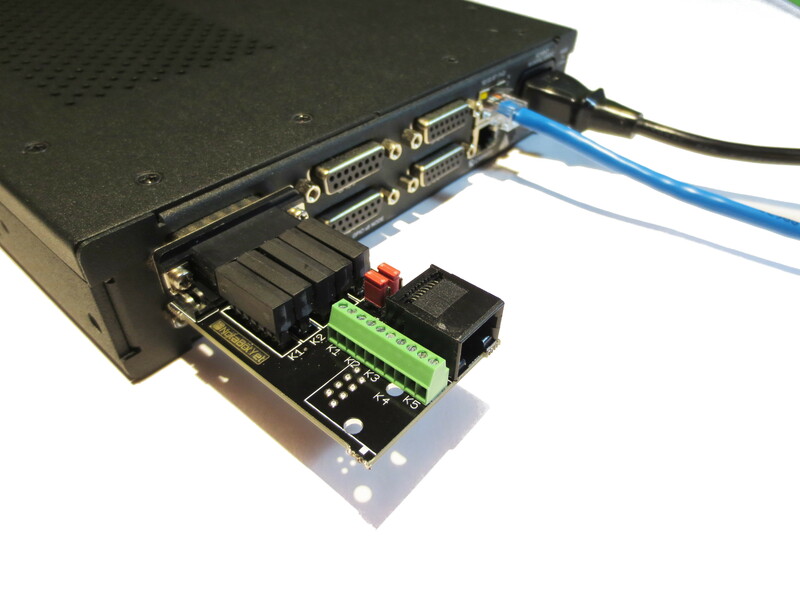 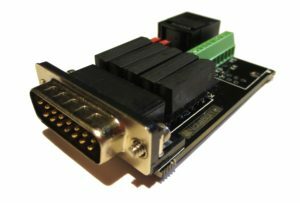 The GPIO Relay Board for Axia was designed to provide an easy breakout for the five open collector inputs and outputs of a standard Axia GPIO port. Without this board, the outputs of an Axia GPIO port on an xNode, Powerstation , or other Axia device are only designed to handle switching a maximum current of 20 milliamps. The Axia GPIO outputs are designed for low power signaling, not direct control, and 20 milliamps is typically just enough current to control one standard LED. 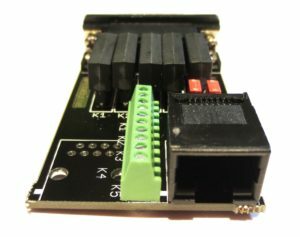 The onboard relays on the NotaBotYet GPIO Relay Board for Axia will allow these five outputs to control external devices requiring more current… up to a half amp of current! This is more than enough capability to control various multi-LED tally lights on microphone booms, modern low voltage LED “ON AIR” lights, or any other device requiring isolated dry-contact switching up to 500 milliamps. 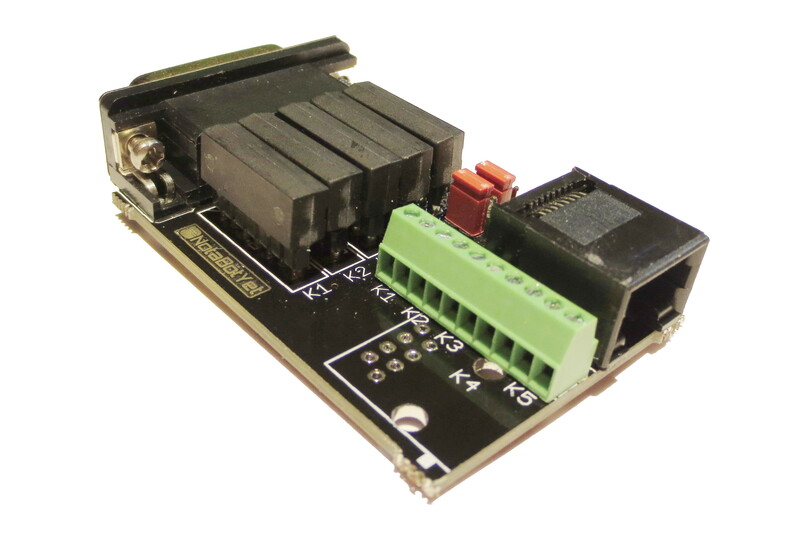 The 5 relays are open collector Form A type and the output connections are all isolated from each other to allow each output to switch different voltage levels or signals. 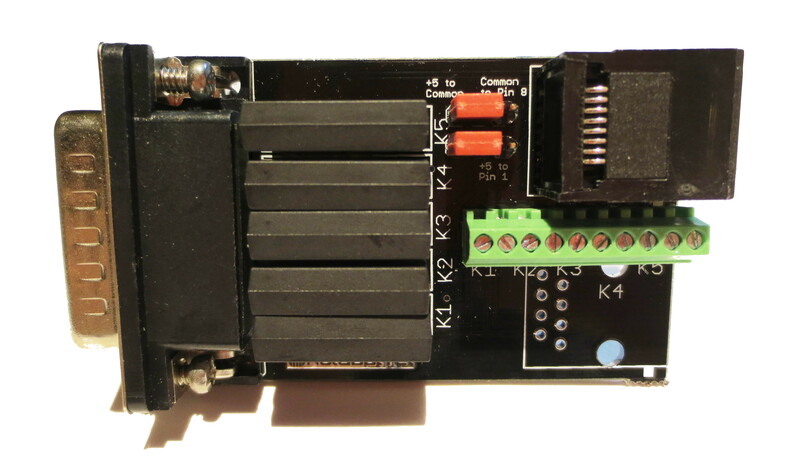 Outputs: This board is populated with a screw terminal block on the output. 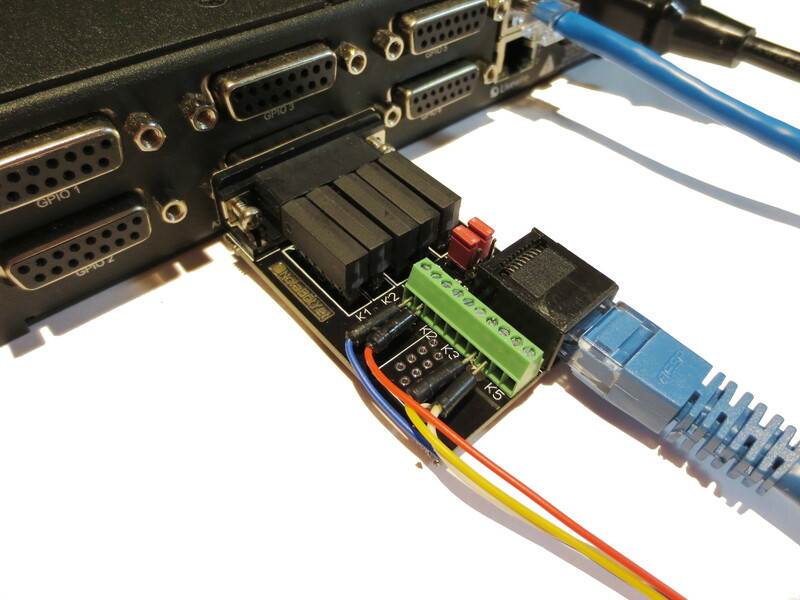 All 5 relay outputs may be wired to this block using 18-30 AWG wire. There are jumpers on this board that allow for common configurations and simplification of standard GPIO wiring and also allow common returns and supply voltages to be available directory on the RJ45 connector if needed for advanced GPIO needs. Jumpers on this board only control the input configuration since the outputs are dry contact closures, and have no user options.